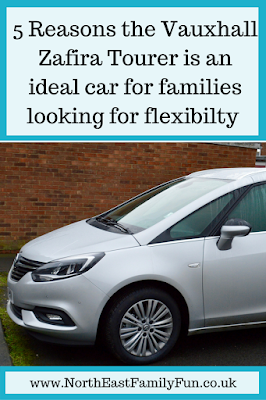 The number one reason we love our Zafira is the flexible seating and space. Our 'day-to'day' configuration is to have the two boys in the middle row and Heidi in the back row with one seat down. 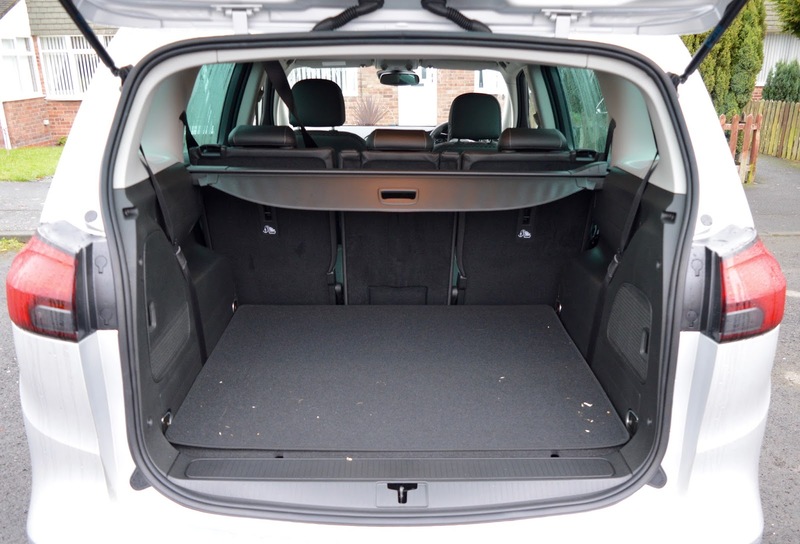 This still allows us plenty of boot space but also separates the kids so they don't fight! 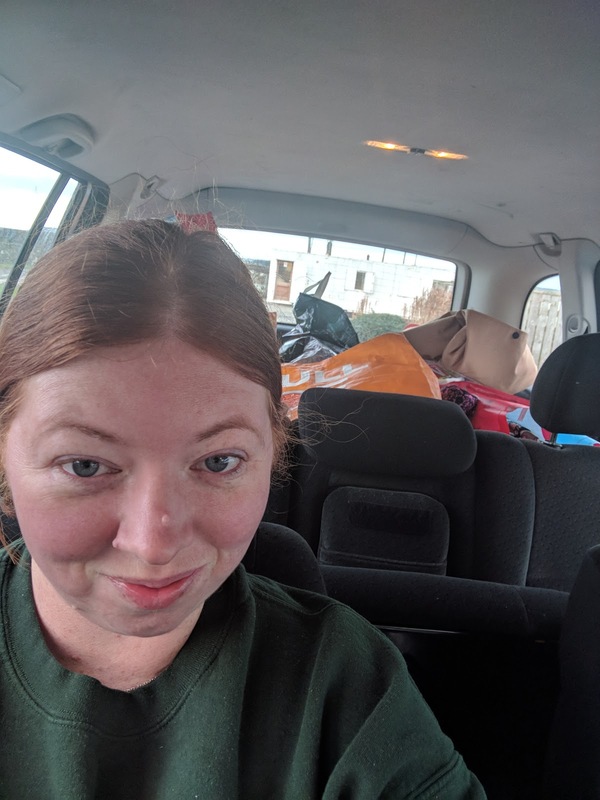 When we're travelling somewhere for an overnight stay, the rear seats are folded down which gives us plenty of boot space - I love that the boot is large enough to carry all of our camping gear without us having to wedge it in! You can also add a roof box if you really need to but we've honestly never needed to. Sometimes we use all seven seats when we're taking our grandparents out or if the kids' friends are coming home from school with us for tea and you can push the middle of seats forward to give you even more space which is perfect when you're a solo driver and need to take a trip to the DIY store or transport all of your Christmas presents as I am doing in this picture here! I'm not going to lie, driving a 'big' car is a little scary! 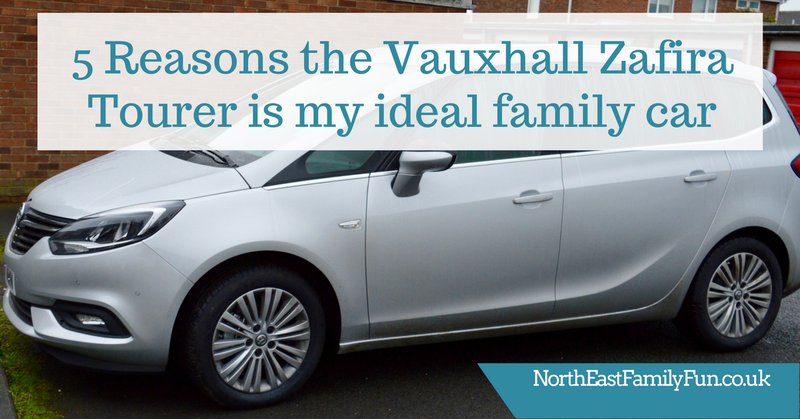 But our Vauxhall Zafira has never felt big to me, in fact, my old Ford Mondeo felt bigger. Driving is super easy thanks to the front camera system (which btw also highlights speed limits), automatic cruise control and there's even a blind spot alert. You can set many of the controls such as lights and wipers to automatic and everything is pretty intuitive. 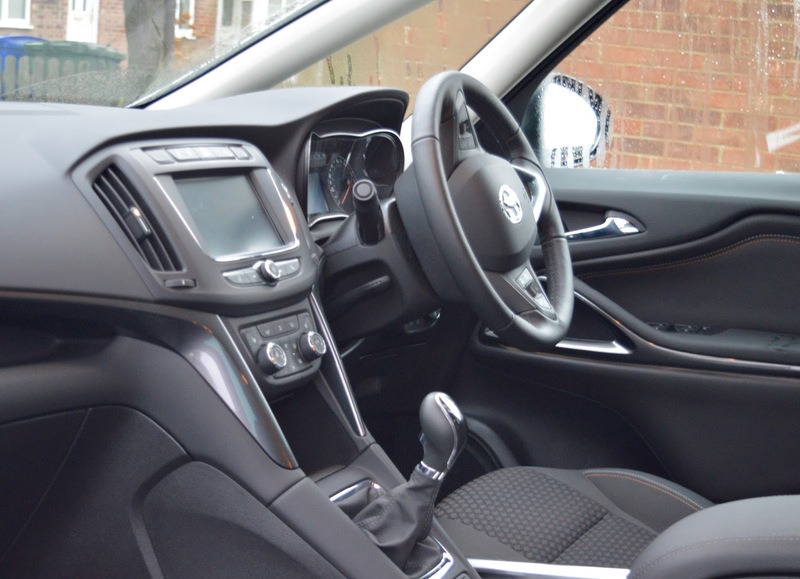 The Vauxhall Zafira Tourer comes with OnStar which is a fabulous piece of tech offering a range of services from an in-car personal assistant who can set your sat-nav to direct to the nearest service station or find out the best place to park in a city you're not familiar with to in-car WiFi and road assistance. 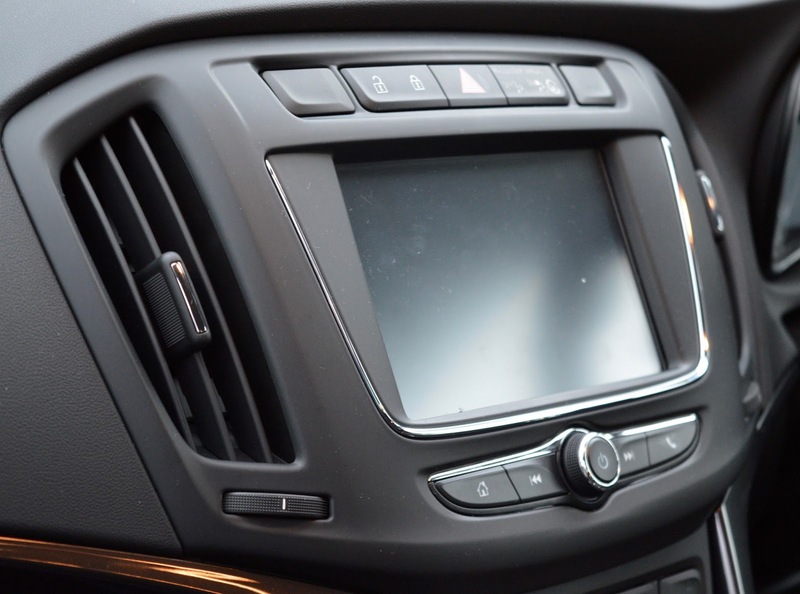 It also features a Navi 4.0 navigation system which is honestly the best system we've ever used. It includes maps for 30 European cities and was a breeze to use. You can also plug your phone into this system via a USB portal and the screen will mirror your phone book and allow you to use the touch screen to access your phone (when safely parked of course) and you can easily link to the system via Apple Play which Steve declared was the best thing ever. He loves it when technology just works and with this car that was definitely the case. 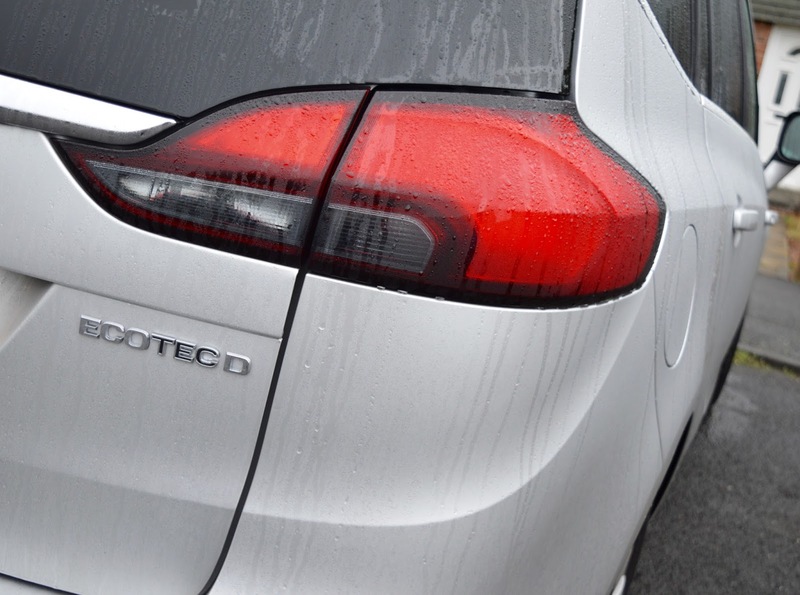 You can drive up to 803 miles on one tank of fuel and CO2 emissions start at 119g/Km. 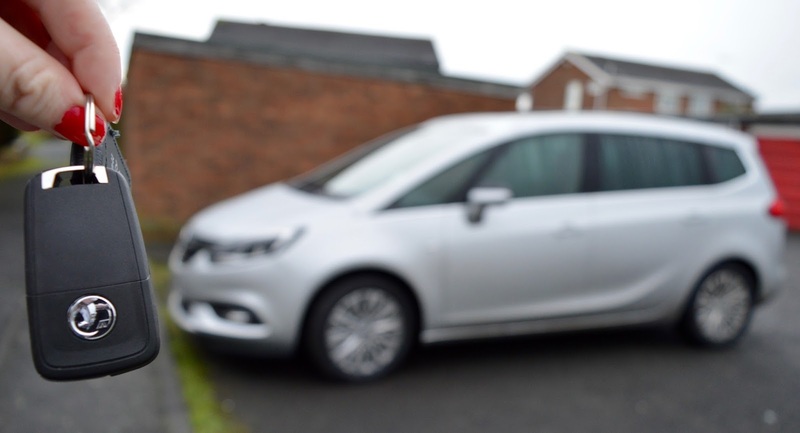 The new version of the Zafira is much more economical than our older version and this alone has made us seriously consider upgrading. 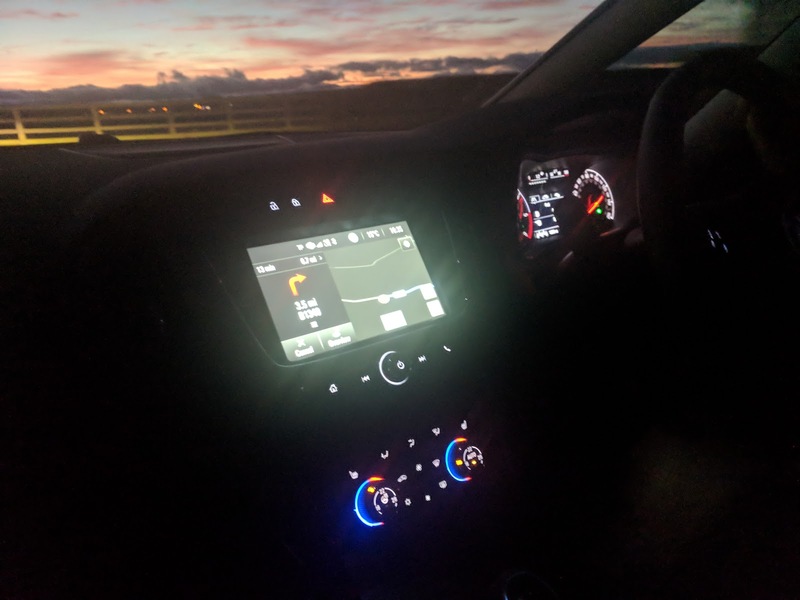 We've driven thousands of miles in our Zafira over the past few years - from South Wales, to festivals, Manchester, Leicestershire, the Scottish Highlands and more. 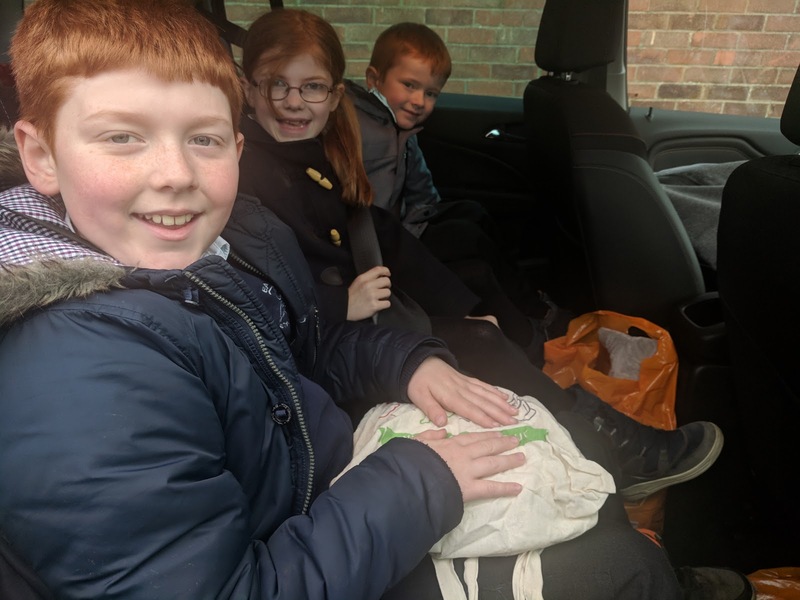 It's really important to us that the kids (and us) are comfortable and in a Zafira this is definitely the case. I love that we always have so much room and even when the kids do have to sit next to each other, they're never squashed. I just love this photo of Harry sitting with my beloved Christmas cake on his knee during a trip to our Christmas Cottage - I'm pleased to say it survived the journey! 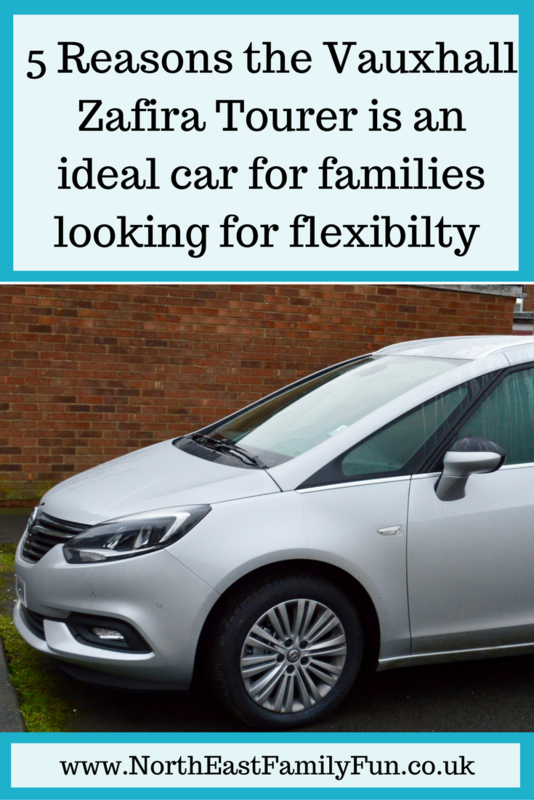 We love our Vauxhall Zafira and if you're a family of 5 who is partial to a road trip and looking for a super flexible car with the option of 7 seats and lots of storage, I'd recommend you pop along to your local Vauxhall retailer and find out more. You can also book your own test drive or request a brochure to find out more.